When I heard about gluten-free products, I thought it was a way for food industry to make more money. Once I heard from someone who is gluten intolerance, it is very serious matter and I was surprised that 15% of the population is affected. I received this recipe from a visiting Swiss couple who started their research recently in physics. 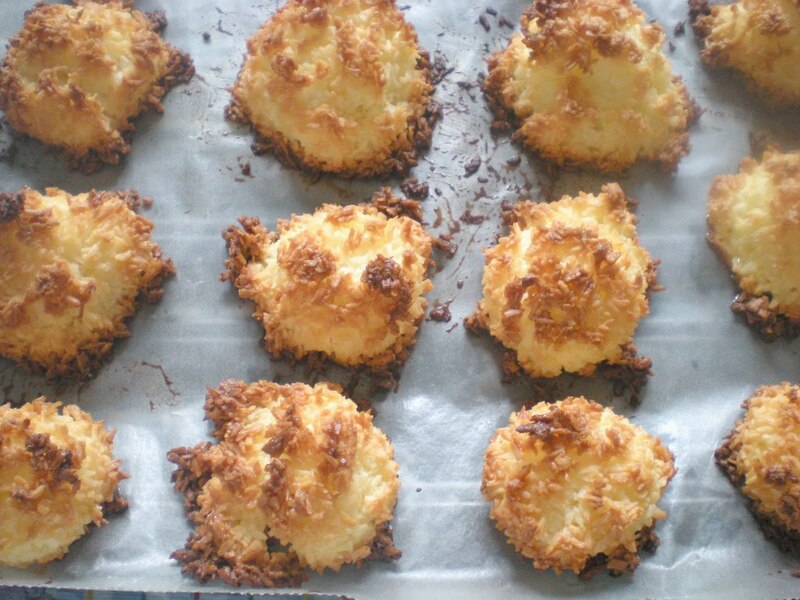 I was glad that they shared this recipe because these best macaroons are the best without the use of flour. Usually, in macaroons, flour is a required ingredient. For those are who in a gluten-free diet, you can finally taste something that is baked. I'm usually the type who loves to share food to hard-working students when I make extras at home. Everyone enjoyed it. This recipe consists of simply 5 ingredients and I baked myself to make sure that it tastes good. 1. Preheat oven to 325F. Line a parchment paper on a 11'' x 17'' baking pan. 2. In a medium bowl, combine eggs, sugar and salt. 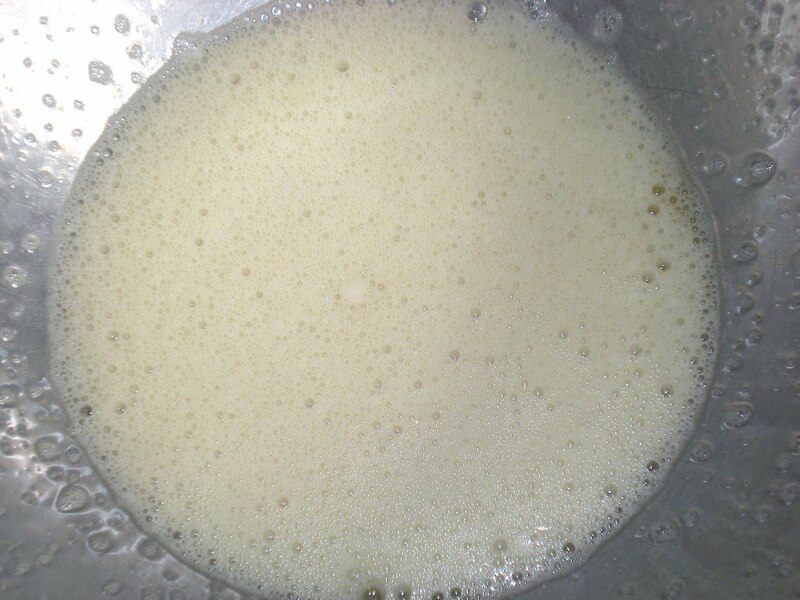 Beat until foamy and all the sugar is dissolved. 3. 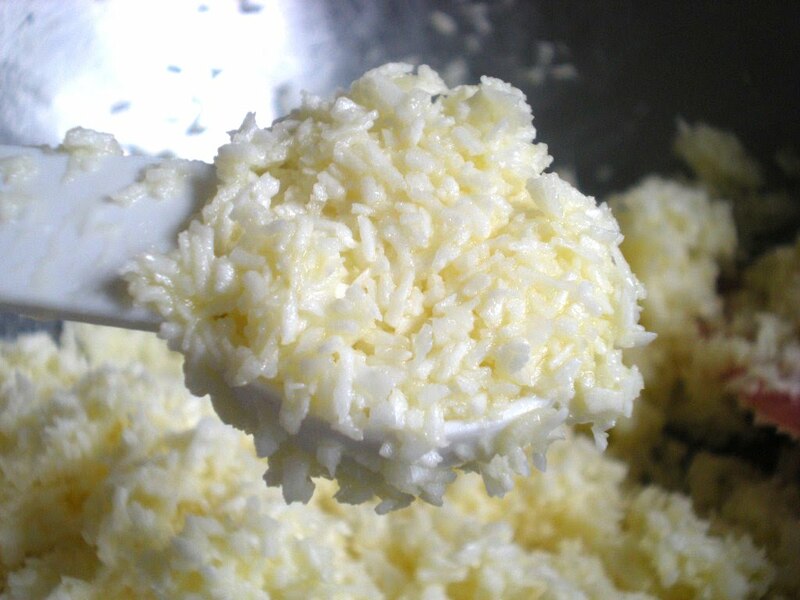 Add in the shredded coconut and lemon juice. Let it soak for 10 mins. If using unsweetened shredded cocunut, add an additional 3 tbsp sugar. 4. Scoop a tablespoonful of soaked coconut and transfer it to the baking pan. 5. Bake for 15-20 mins or until golden. mmh. my husband loves coconut macaroons. these looks super yummy. I LOVE macaroons - most recipes I've come across require egg whites only. I bet yours taste richer with the inclusion of the yolks. Will have to try! 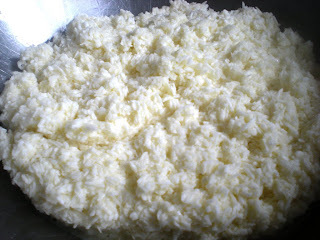 I was surprised that all the recipes encountered require only egg whites, I felt it was a waste of not using egg yolks. Yeah, I had actually never heard of gluten intolerance until I started blogging; and my uncle recently developed this intolerance as well. I really admire people who manage to bake tasty treats without gluten; so bravo for testing this recipe! Wonderful pictorial and easy to follow directions make your post great for those embarking into the world of gluten free recipes. My dad loves these. Would be funny to do a plate of macaron and macaroon lol. Great job! Great post - I am gluten-free and it's a total necessity for me. 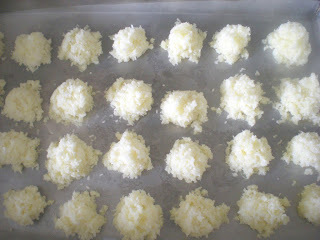 I love coconut macroons...and enjoyed your tutorial. It makes it easy for anyone new to macroons. Thank you for following my blog. I'm looking forward to exchanging great recipes! This looks yummy. Thanks for sharing this recipe, please exchange more recipes with us.